Objetivo: describir el primer caso de implante de válvula aortica transcatéter (Transcatheter aortic valve implantation: TAVI) en el Hospital de San José en una paciente con estenosis aortica severa degenerativa sintomática con disfunción sistólica severa. Diseño del estudio: reporte de caso. Metodología: mujer de 76 años referida al servicio bajo la sospecha de síndrome coronario agudo y estenosis aórtica severa sintomática, considerando candidata a manejo intervenconista mediante TAVI. Se trata del primer caso en el cual se implementa dicho procedimiento en el servivio de Hemodinamia del Hospital de San José – Sociedad de Cirugía de Bogotá. Conclusión: la TAVI es una alternativa valida para intervenir paciente con riesgo quirúrgico. El servicio de Hemodinamia del Hospital de San José – Sociedad de Cirugíade Bogotá dispone del recurso asistencial necesario para llevar este tipo de procedimientos. 1. Barbanti M, Webb JG, Gilard M, Capodanno D, Tamburino C. Transcatheter aortic valve implantation in 2017: state of the art. EuroIntervention : journal of EuroPCR in collaboration with the Working Group on Interventional Cardiology of the European Society of Cardiology. 2017;13(AA):AA11-AA21. Epub 2017/09/25. 2. Masri A, Svensson LG, Griffin BP, Desai MY. Contemporary natural history of bicuspid aortic valve disease: a systematic review. Heart. 2017;103(17):1323-30. Epub 2017/05/12. 3. Aboyans V, Ricco JB, Bartelink MEL, Bjorck M, Brodmann M, Cohnert T, et al. 2017 ESC Guidelines on the Diagnosis and Treatment of Peripheral Arterial Diseases, in collaboration with the European Society for Vascular Surgery (ESVS): Document covering atherosclerotic disease of extracranial carotid and vertebral, mesenteric, renal, upper and lower extremity arteriesEndorsed by: the European Stroke Organization (ESO)The Task Force for the Diagnosis and Treatment of Peripheral Arterial Diseases of the European Society of Cardiology (ESC) and of the European Society for Vascular Surgery (ESVS). European heart journal. 2018;39(9):763-816. Epub 2017/09/10. 4. Vahanian A, Alfieri O, Andreotti F, Antunes MJ, Baron-Esquivias G, Baumgartner H, et al. Guidelines on the management of valvular heart disease (version 2012). European heart journal. 2012;33(19):2451-96. Epub 2012/08/28. 5. Paredes A, Martínez A. Prótesis valvular aórtica percutánea: ¿Qué debemos saber? 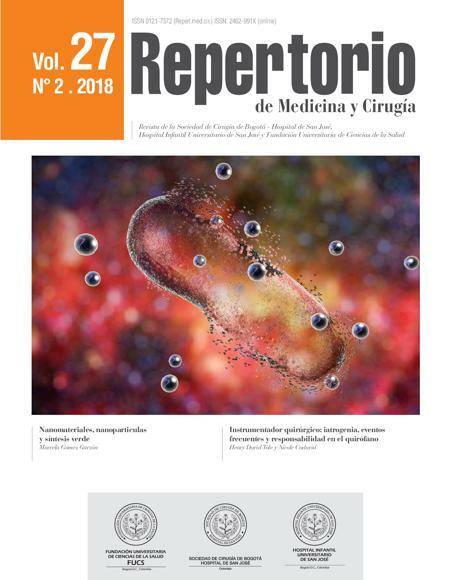 Revista chilena de cardiología. 2012;31:55-62. 6. Leon MB, Smith CR, Mack M, Miller DC, Moses JW, Svensson LG, et al. Transcatheter aortic-valve implantation for aortic stenosis in patients who cannot undergo surgery. The New England journal of medicine. 2010;363(17):1597-607. Epub 2010/10/22. 7. Lauten A, Figulla HR, Mollmann H, Holzhey D, Kotting J, Beckmann A, et al. TAVI for low-flow, low-gradient severe aortic stenosis with preserved or reduced ejection fraction: a subgroup analysis from the German Aortic Valve Registry (GARY). EuroIntervention : journal of EuroPCR in collaboration with the Working Group on Interventional Cardiology of the European Society of Cardiology. 2014;10(7):850-9. Epub 2014/11/22. 8. Vahl TP, Kodali SK, Leon MB. Transcatheter Aortic Valve Replacement 2016: A Modern-Day "Through the Looking-Glass" Adventure. Journal of the American College of Cardiology. 2016;67(12):1472-87. Epub 2016/03/26. 9. Sawaya FJ, Deutsch MA, Seiffert M, Yoon SH, Codner P, Wickramarachchi U, et al. Safety and Efficacy of Transcatheter Aortic Valve Replacement in the Treatment of Pure Aortic Regurgitation in Native Valves and Failing Surgical Bioprostheses: Results From an International Registry Study. JACC Cardiovascular interventions. 2017;10(10):1048-56. Epub 2017/05/20. 10. Toggweiler S, Leipsic J, Binder RK, Freeman M, Barbanti M, Heijmen RH, et al. Management of vascular access in transcatheter aortic valve replacement: part 2: Vascular complications. JACC Cardiovascular interventions. 2013;6(8):767-76. Epub 2013/08/24. 11. Barbanti M, Buccheri S, Rodes-Cabau J, Gulino S, Genereux P, Pilato G, et al. Transcatheter aortic valve replacement with new-generation devices: A systematic review and meta-analysis. International journal of cardiology. 2017;245:83-9. Epub 2017/08/02.